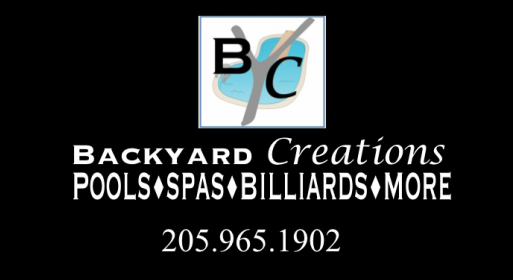 At Backyard Creations our goal is to give you the backyard of your dreams. Backyard Creations Inc. is a residential and commercial swimming pool installation company that has been building extraordinary pools for over 25 years. We specialize in gunite, fiberglass pools, and vinyl liner pools. We also do pool service, above ground pools, spas, portable spas moves, and billiards. We can manage all stages of your project from retaining and decorative walls to hardscapes, landscape design, outdoor dream kitchens & more.